As a funeral celebrant, I conduct funeral services in the main at crematoriums or graveside at cemeteries. However, there have been services at golf courses, in parks and I know of one held on a beach. 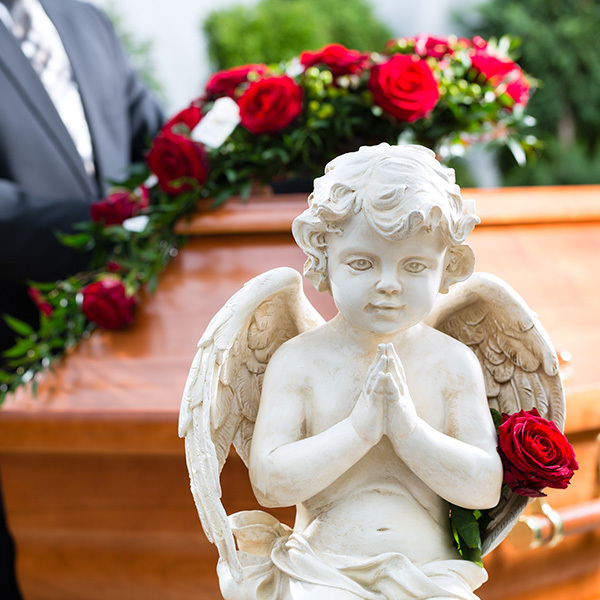 The main arrangements of course will be done through your chosen Funeral Director and if you wish, you may nominate your own celebrant to the funeral director and they would be very happy to accommodate your wishes. A funeral service need not be a solemn occasion although the very nature of losing a loved one almost always causes great grief. It is an opportunity to share all of those special memories of a loved one and often they are memories that will make you smile or laugh. When planning a service you can insert all manner of things to reflect the life of the loved one you have lost and nothing is inappropriate in terms of music, symbols or words if they reflect their life. Just a short note to say a big thank you for Mum’s funeral. Not only were we very pleased with the service at the crematorium, but all your help, detail and caring thoughts when coming to our home to prepare for the service, were greatly appreciated. We had a large number of very favourable comments on the service from both local family and visitors from out of town, with comments like “the most personal and appropriate funeral service they had ever attended”. On behalf of our families, please accept our greatest gratitude for your effort. Thank you for everything. You are now a part of our family. You made dad’s funeral memorable. I wanted to send you this heart- felt message to thank you for the wonderful manner in which you conducted the funeral service for mum. Both Greg and I express our gratitude to you. You were so caring , thoughtful, respectful and so very genuine with all the words you expressed that we could not do ourselves. Mum would have loved the words spoken by everyone, the beautiful amazing flowers and would have admired the respectful venue for her departing this world. I am at peace knowing that we fulfilled her wishes and even though she is gone she will never be forgotten. You kept a watchful eye on all things and your support was gratefully accepted and greatly appreciated. We were blessed that you conducted the service for us. Thank you Kris – you did a wonderful job. We so appreciated the personal touches you added. People even asked me if you were a family friend that had known mum well. So thank you very much!